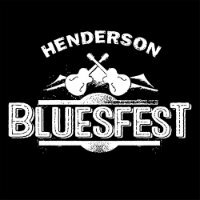 This weekend’s annual Henderson BluesFest event returns to the Pavilion will feature co-headliners the Kenny Wayne Shepherd Band and the Beth Hart Band. Other blues bands will perform throughout the day. Louisiana-born guitarist and songsmith Kenny Wayne Shepherd has sold millions of albums with singles in the Top 10. In a 20+year recording career that began when he was just 16, Shepherd has established himself as an immensely popular recording artist and a consistently in-demand live act. His albums “Live! In Chicago,” “Goin’ Home,” and “Lay It on Down” are among his seven albums to debut at #1 on the Billboard Blues Album chart. Grammy-nominated singer/songwriter Beth Hart’s two-decade career is riding high. Hart won the 2018 Blues Music Awards for Instrumentalist/Vocals and is a 2014 and 2017 Blues Blast Awards winner for Best Female Blues Artist. Albums including “Fire on the Floor” and 2018’s “Black Coffee” are among her six albums to debut at #1 on the Billboard Blues Album chart. Vendors will be on-site offering a variety of food and beverage options. Parking is free. Doors open at 2 p.m.
Tickets are on sale and start at $30.50 plus tax/fees. They can be purchased online at HendersonPavilion.com or by phone at 702-267-4TIX (4849). For more information on concerts and events at the Henderson Pavilion, visit HendersonPavilion.com. Follow us on Facebook, Twitter and Instagram.